Educational Center / Purchasing Antique Rugs / Timeless Beauty- Silicon Valley’s high-tech crowd discovers an affinity for high-touch, hand-crafted works of art – New! Silicon Valley’s high-tech crowd discovers an affinity for high-touch, hand-crafted works of art. 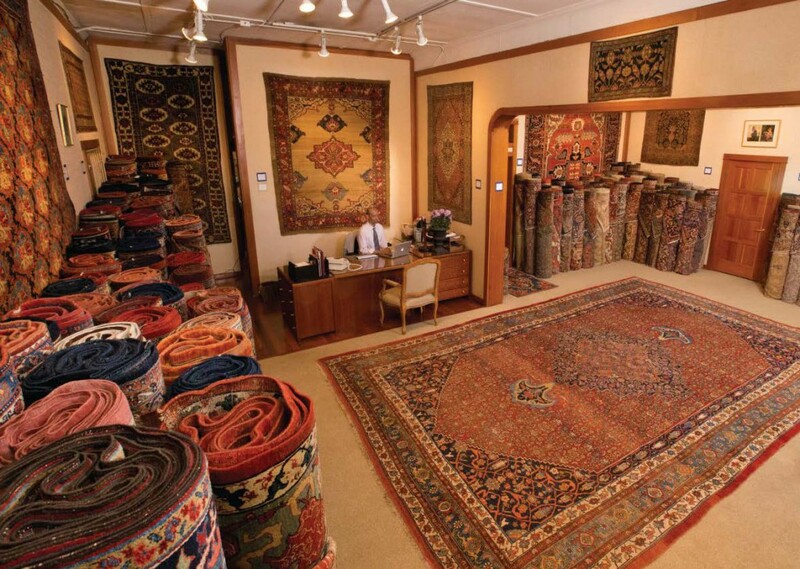 Tucked just off Oakland’s ultra-hip College Avenue lies one of the Bay Area’s real art treasures—Claremont Rug Company, a veritable jewel box of dazzling color and texture. It is here, in this extraordinary gallery of over 3,500 rugs, that Jan David Winitz, one of the world’s foremost experts on Second Golden Age of Persian Weaving (circa 1800 –1910), presides. Winitz is a fascinating man who has spent his career following his passion. Growing up in Silicon Valley (he attended Palo Alto High School while his father was a NASA chemist at Moffett field), Winitz would journey to the East Coast and visit his family member in Brooklyn Heights. She was an avid art collector and collector of fine rugs. Her particular favorites were Asian art and carpets. Over the years, she imparted not only her knowledge of art and rugs, but her deep love for them to her grandson. 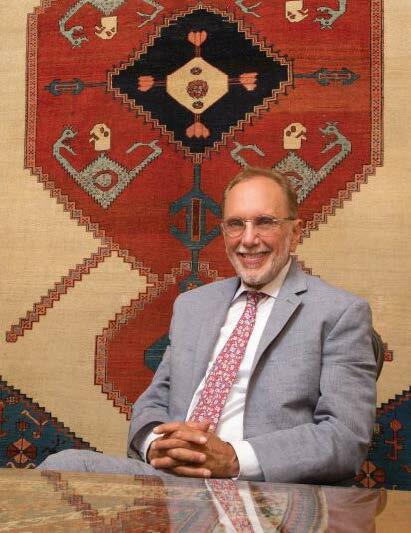 Winitz recalls fondly, “While other kids were trading baseball cards, I was learning the intricacies of 18th- and 19th-century rugs.” At only 19, Winitz made his first major rug purchase— a 200-year-old Persian Bakshaish Dragon Rug. He picked it up for $3,500. That purchase portended Winitz’s destiny. He attended U.C. Berkeley and tried his hand at teaching high school English, but simultaneously started dealing rugs. 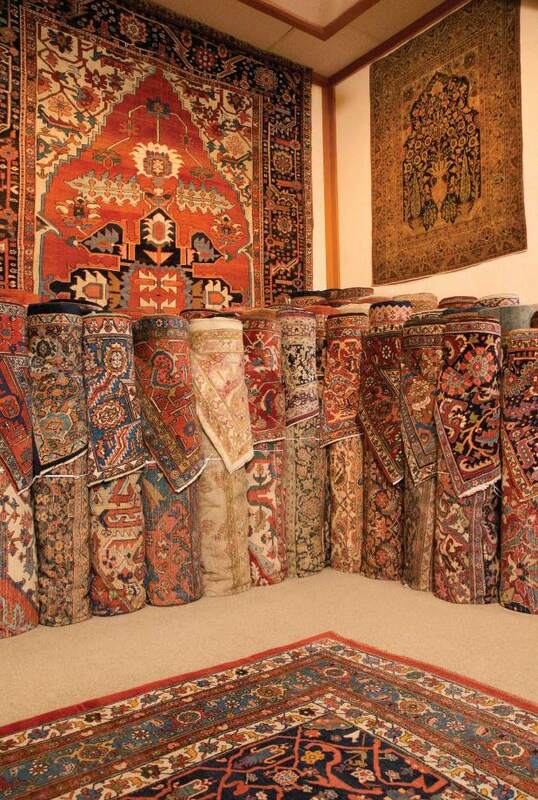 At 25, he met his wife Christine Hunt, also an avid rug collector. Together, they decided to transform their hobby into their profession.  In 1980, Claremont Rug Company was born. 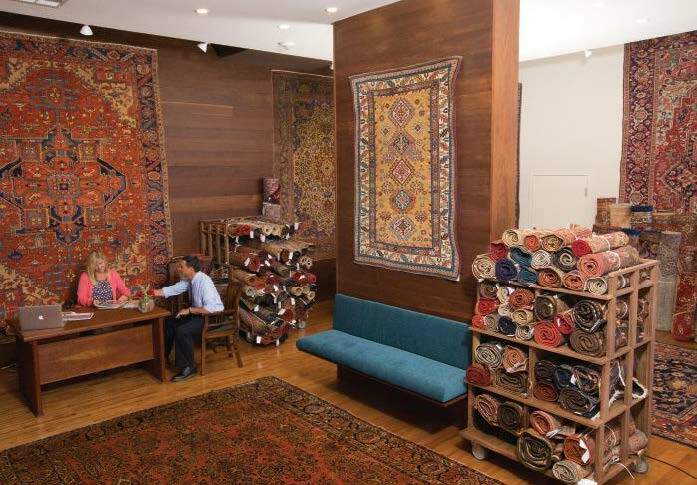 For the past 36 years, Winitz and his dedicated team have built a boutique business dedicated to curating museum-quality rugs of enduring beauty. 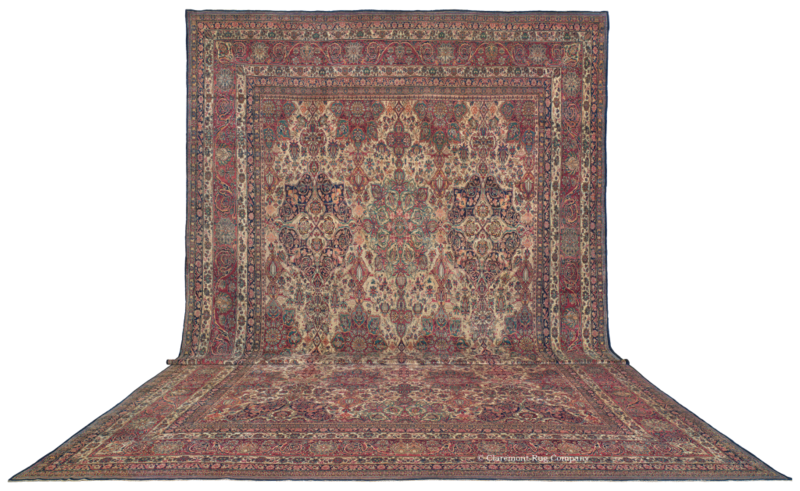 A Primer on Antique Rug Acquisition from an Eminent Expert – New! Timeless Beauty- Silicon Valley’s high-tech crowd discovers an affinity for high-touch, hand-crafted works of art – New!